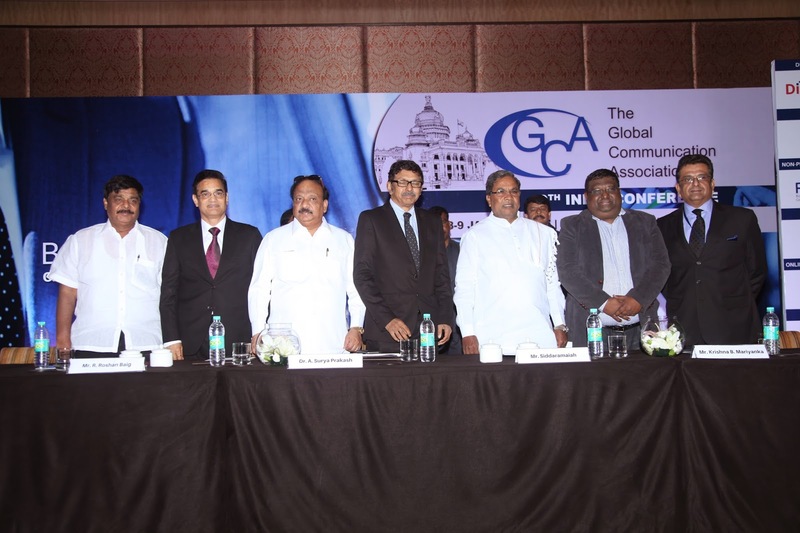 The race for TRPs among some private television news channels has come into a sharp focus at the two-day conference of the Global Communication Association (GCA) that kicked off today. Communication professionals from across the world gathered here for the conference with the theme of “Breaking Barriers – Creating new communication horizons”. In his opening remarks, Prasar Bharati Chairman A Surya Prakash described the chase as more of “Blood Pressure Raising Points (BRPs)” as certain news channels keep having eight to panelists debating at the top of their voices. No other country in the world seems to have this kind of a Maara Maari on TV news channels, he said and called upon the viewers switch over to Doordarshan if they get fed up with the private channels. “We do not ape the west, we are very much Indian,” he remarked describing the ethos at Doordarshan. Pointing out that mass media in general has been experiencing an exponential boom in the country, Mr Surya Prakash called for “our own solutions” to meet the challenges of growth. Echoing the same sentiments, Karnataka Chief Minister Siddaramiah, who was the chief guest, said some electronic media channels appeared to be in a great race to meet deadlines. This was why, he said, sometimes the viewers might not see anything big in the so-called breaking news. He suggested that steps should be taken to curb monopolies among media houses and even private treaties. The role of the Press Council should be redefined to cover TV news channels as well, he said. He said he always stood for the freedom of the Press and constructive criticism. Dr Vinod Nowal, Deputy Managing Director of JSW Steel Limited, who was the guest of honour, said there was a huge barrier between what people at the helm say and what they do. India needed to improve a lot on infrastructure allocation of natural resources if it has to emerge as the global manufacturing hub. He pointed out that the interest rates in the country are very high at 18% as compared to the developed countries which enjoy a rate of 3% to 4%. In his keynote address, Mr Deepak Mukherji, Communication consultant and former director of corporate affairs at Shell India, dealt with challenges in breaking barriers of communication and said the professionals ought to differentiate between trustable and trustworthiness. “We all seem to be experts in publicizing promises and not what is delivered,” he said and called for an increased focus on the trustable element rather than talking about mere transparency among corporates. Conference curator and organizing secretary Krishna B Mariyanka said the two-day event will focus discussions on Faltering Media social responsibilities, Communication CSR through media, news distribution in social media, communication for PPPs, sustainability communication, branding, new digital journalism, challenges in multi-cultural communication, political communication, digital privacy, healthcare communication, and so on. Achievers in various sectors will be felicitated with the A.P. Chowdappa memorial award for excellence in communication at the end of the conference tomorrow evening. 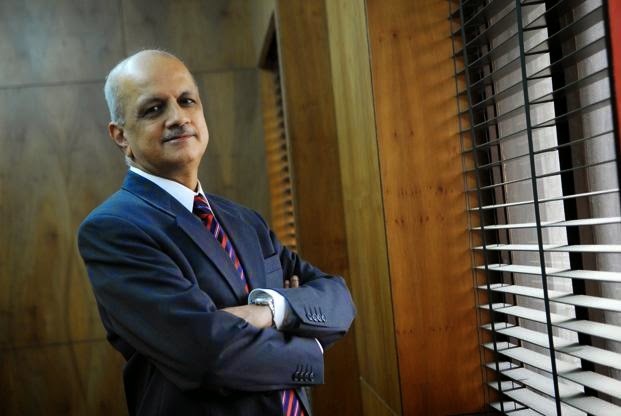 To leverage the global competencies of the ICT sector and also enable the IT industry to map a sustained growth plan, The National Association of Software and Services Companies (NASSCOM), has shared its budget recommendations with the government. As part of the recommendations, NASSCOM highlights necessary aspects that can promote a healthy growth oriented business environment for existing players, innovation driven start-ups and SMEs. The emergence of a rapidly growing ecosystem for innovation; driven by young, tech savvy entrepreneurs is a powerful new complement to the existing global reach of the industry. The SMEs and technology Start-ups need an environment of constant nurturing including access to funds, incentives to support operations and a simplified compliance framework. On the other hand large enterprises require stable policies and predictable regulations to continue its global journey. IEEE announced the availability of the IEEE Blended Learning Program in Very Large Scale Integration (VLSI) for both corporate and academic organizations at the International Conference on VLSI Design, 2015 being held from Jan 3-7 in Bangalore, India. The IEEE Blended Learning Program in VLSI is a unique skills-development program that aims to increase the availability of skilled engineers in the rapidly growing Electronic System Design & Manufacturing (ESDM) sector in India. IEEE Blended Learning Program (BLP) includes an e-Learning component to teach concepts in a highly engaging and interactive manner, an instructor-led lab component, an adaptive assessment at the end of each course, and content & performance analytics. 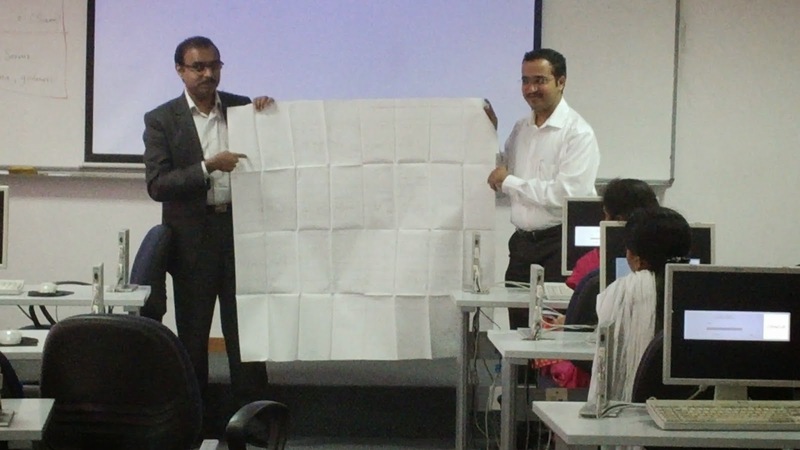 IEEE has partnered with RV-VLSI Design Center, an autonomous finishing school of the R.V. group of institutions that offers industry-centric advanced programs in VLSI. The key goals of the program are to complement the core curriculum in a university, build a foundation of VLSI concepts and practical skills, and help new and experienced employees at an organization become more productive in their specific areas of focus. At the time of the launch of this program, two courses are available: RTL Verification using Verilog (advanced, domain-specific course) and Logic Design for VLSI Engineers (foundational course). Courses covering timing analysis and RTL design are scheduled to be released in early 2015 and more courses covering topics in FPGA design, analog flow, custom layout, advanced verification techniques, and others will be made available throughout 2015. The e-learning component of the course teaches concepts in an easy to understand manner, includes practice in a simulation environment, and short quizzes to check understanding of concepts. The lab component, approximately 60-70% of the course duration, is offered in a workshop style manner with flexible timing and customization options. At the end of the course, learners take an adaptive assessment designed to test their understanding of the course material. An IEEE certificate of completion is offered to each learner who completes the program successfully. The program is currently available in the Bangalore & neighbouring regions to undergraduate and graduate students in colleges and universities, faculty members, corporations, and recent graduates aspiring to a career in the semiconductor industry. IEEE is also planning to expand the program to other regions in India in the near future. Students currently pursuing undergraduate or post-graduate studies or recent graduates currently seeking employment in the ESDM sector can enroll into available courses by paying directly through the Blended Learning Platform. Various payment options including credit card (Visa or Mastercard), online net banking, and Challan payment using Cash, Demand Drafts, and NEFT through Corporation Bank and other major national and regional banks are available. With more than 3,000 tech start-ups, India is the fourth largest base for young businesses in the world and it is expected that by 2020 the base will increase to 11,500 tech start-ups. This along with other interesting findings were revealed in ‘Tech Start-up in India: A Bright Future’ a study report by National Association of Software and Services Companies (NASSCOM) and Zinnov. The report suggests that the Indian start-ups with their unique solutions are witnessing increased traction in global whitespace opportunities such as Internet of Things, augmented realty, smart hardware, BI and many more. With technology spreading its wings into different domains, ‘Domain+Tech’ solutions are taking over other trends. The emerging niche technology solutions are primarily focused on Ad-tech, Edu-tech, Health-tech, Agri-tech and many more. Geographically, Bangalore and National Capital Region (NCR) tops the chart for being home to maximum number of young businesses. The findings also highlight that many trends are maturing in the ecosystem, especially funding aspect. Multiple and easily accessible platform like VC/PE, angel investors, incubators, financial institutes and even banks, are the driving force for the same. In fact, during 2010-2014 timeframe close to US$3 billion is expected to be invested in Indian start-ups. 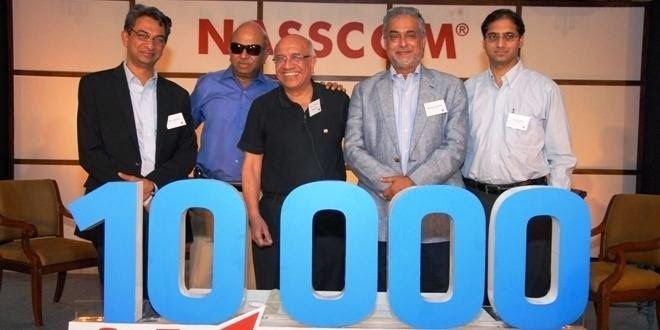 NASSCOM’s 10,000 Start-ups program has successfully paved way for 3 inevitable trends that are shaping the Indian economy with the potential to shake things up: Digitalization, faster innovation cycles, and the rise of young, ambitious talent. Start-ups are both a consequence and an accelerating catalyst of these trends. It’s exciting to be here, but we have much to do. This ecosystem is growing in scale and strength and as we move forward, we are focused towards domain specific strategic partnerships to drive it to the next level of maturity in FY 2015. 1. 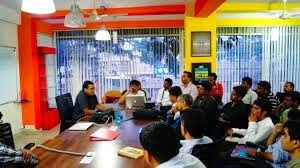 The Program is partnering with AstroLabs Dubai, to navigate Indian Tech Startups to the MENA region. 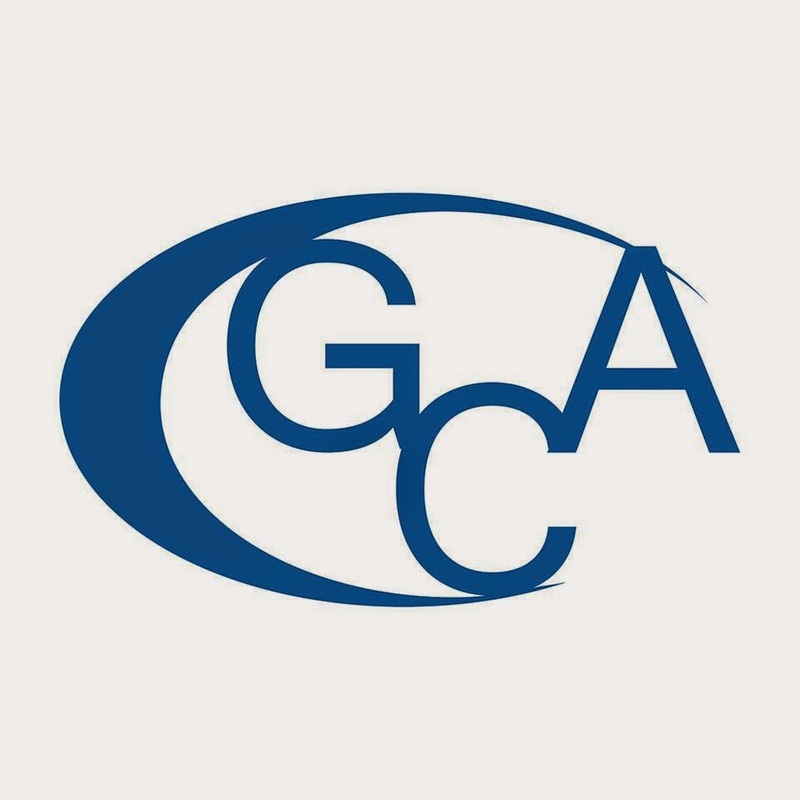 This association will give a tangible edge to support tech entrepreneurs emerging from the 10,000 Start-ups program, both with the physical space and with formal training programs. 2. The Program’s partnership with ValPro, an investment banking and financial advisory services to leverage a web based platform “Enablers” which facilitates start-ups and SME’s to connect with HNI’s, Angels, and VC’s for fund raising. It is a tool that makes entrepreneurs investor-ready and handhold them through various stages of fund raising. 3. The Program inked another association with CampusEAI Consortium, a leader in the world of higher education information technology services. CampusEAI EduTech Venture Fund invests in early stage enterprise software, Internet and mobile companies that target the education market or companies created from intellectual property technology transfer from colleges and universities. 4. To support early-stage companies in Healthcare and Life-sciences domain, we partnered with Escape Velocity Accelerator to review applications for selecting entrepreneurs into its incubation program. “The EduTech Venture Fund has successfully funded eight early stage start-ups in the education industry and we are in search of our next round of investments," states Anjli Jain, CEO of CampusEAI and Managing Director of CampusEAI's EduTech Venture Fund. “Our partnership with NASSCOM’s 10,000 Start-ups program gives us an opportunity to expand our portfolio and existing investments in India-based start-ups and provide early-stage entrepreneurs with the mentorship, guidance and funds they require to be successful. 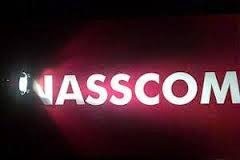 We look forward to working with NASSCOM and accelerating the mission of the 10,000 Start-ups initiative." “We look forward to welcoming members of 10,000 Startups at AstroLabs Dubai, enabling their expansion into the growing Middle Eastern market and providing direct access to a region that has the highest smartphone penetration in the world." said, Muhammed Mekki, Founding Partner, AstroLabs. 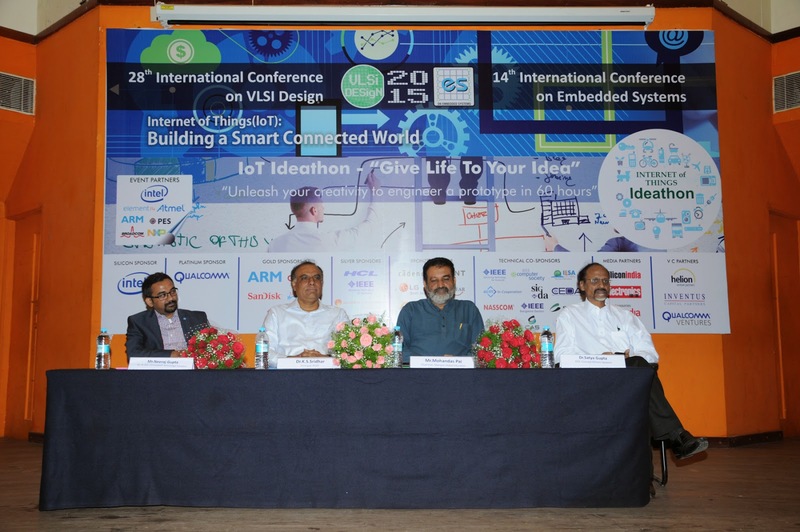 The conference also hosted industry’s First IoT-Ideathon, a 60 - hour long event, in which over 100 participants consisting of students and young professionals are putting their creative minds together to architecting 25 new and innovative applications in IoT. The inaugural lamp was lit by Nandan Nilekani, Former Chairman, Unique Identification Authority of India (UIDAI) who also delivered the theme address on the topic, Hour glass architectures for IoT Era. Also participating in the inauguration ceremony were Guest of Honour, Janardhan Swamy, Former MP, Chitradurga, along with Vishwani Agarwal, Steering Committee Chair & Professor, Auburn University, Satya Gupta, General Co-Chair - VLSID 2015 & CEO Concept2Silicon, Kumud Srinivasan, General Co-Chair - VLSID 2015 & President, Intel India and Jaswinder Ahuja, Corporate VP, Cadence. In his address, “Nandan Nilekani, Former Chairman, Unique Identification Authority of India (UIDAI) said, “Sensor technology and the “Internet of Things” is at the cusp of transforming many sectors from healthcare to the smart management of cities. This is an opportunity to 'leapfrog' on developmental solutions. The right platforms will combine standards with the innovative energy of our young entrepreneurs. I am confident that this conference will advance this mission”. According to a Frost and Sullivan report, by the year 2020, there would be an estimated 80 billion connected devices. Furthermore as per a Cisco Ventures report this will be a market of over than $10 trillion by 2022. India would be a $10 billion market. 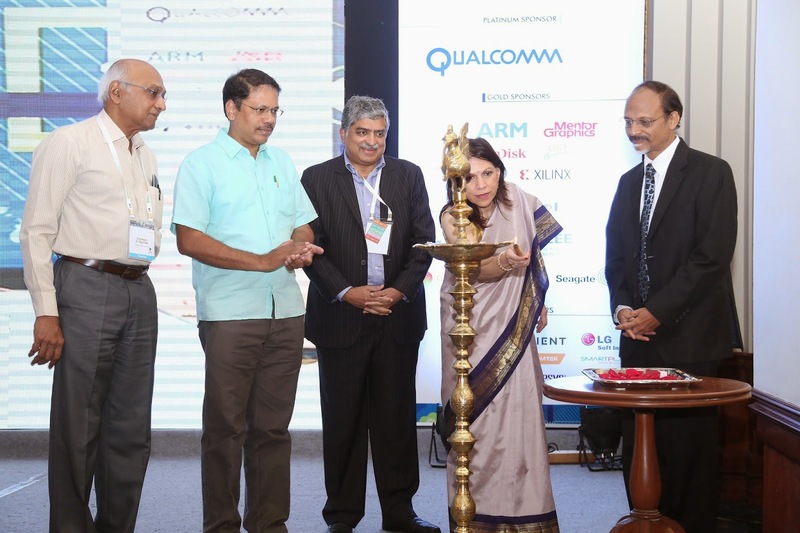 The VLSI 2015 Conference hosted over 1,000 delegates from around the world consisting of policy and decision makers, business leaders, technology professionals, academia and students. Over a hundred research papers and 17 tutorials will be presented, besides 15 keynote presentations and panel discussions by senior leaders of industry and academia.